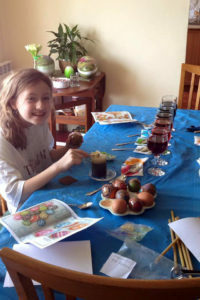 Orthodox church all morning while Sophie and I decorate eggs. She had a fever last night, so no church for us this morning, but still a happy Easter! Log in | 54 queries. 0.500 seconds.